Like any other domain, marketing also has gone through transformations multiple times, based on the technologies and people behaviour then and there. 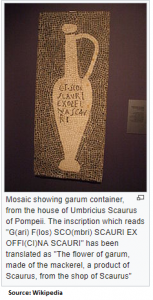 Evidence shows that the history of marketing and advertising falls back to late 35 CE, a manufacturer of fish sauce in Pompeii, used mosaic patterns in the atrium of his house and decorated with images of amphora bearing his personal brand and quality claims. It continued to evolve through multiple means and thought processes, and the inventions of visual media brought a plethora of opportunities for the marketers. Now, in this connected world, we are here to provide personalized marketing experiences to each individual based on their interests and behaviour. Since AI is taking over its role in our day-to-day life, it’s in marketers life too. The tremendous amount of data, which is considered as a ‘natural resource’, and now available on the internet, offers marketers a playground to experiment and explore marketing opportunities never before. Application of AI on this data helps marketers to identify the right target audience, buying behaviour, user preferences and interests of their customers. 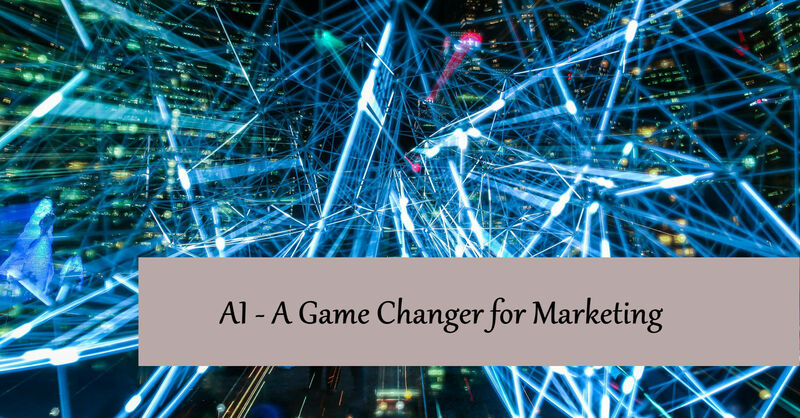 Let us see the various applications of AI and how it will become a game changer in the future of marketing. All of your customers do not fall into one category. They vary based on what kind of products they prefer, their buying decision making processes, lifestyles, family status, age group, location, so and so. Hence targeting them with same marketing messaging wouldn’t be a good idea. Each individual’s buying decision making factors and influencers are purely ‘personal’. Hence understanding the user behaviour on each stage of their buying journey and placing them into appropriate categories is very critical. AI powered marketing platforms with this capability can help marketers to get a proper understanding of their customers and decide their campaign strategies. It is a known fact that highly satisfied customers are almost a cent percent likely to return. Every customer today expects a personalized experience in interaction and offers. They always prefer a personalized marketing offer which caters to their needs, rather than a generic offer. Understanding the customers on each of their touch points and ever growing insights created based on each interaction would give a competitive edge for marketers for making tailor-made offers. AI enabled chatbots can analyze thousands of data points related to a single customer and communicate in the most personalized way, realtime. The factors that define a successful marketing strategy includes the marketing channels selected, content, target market, target audience, tracking, attribution and better understanding of the competitive landscape. This requires analysis of a huge volume of data such as domain knowledge, marketing channel specific data, historical marketing data combined with marketing knowledge and expertise. An AI-enabled marketing planner can do this job with ease by recommending the right channel mix with the right recommended content. This makes a marketer’s life easy as well as improves ROI in campaigns. When marketing automation combined with AI takes its role, the manual intervention required in execution and analysis of the campaigns will be minimal. When an AI-enabled system can analyze the given marketing objective and come up with a best fit solution as a marketing mix, the marketers job becomes more easier as they only have to review, evaluate and accept it. Marketers’ focus will go more into creative aspects of the campaign execution. This impacts the marketing cost by reducing human resources. As the AI system can learn from active and past campaigns, it would be able to suggest an optimized budget to spend on each channel and also suggest various campaign settings such as target audience demographics, keywords, interests, duration, bid amount etc. This results in optimizing the spend on campaigns with higher ROI. In short, when AI in marketing becomes mature enough, marketers would be able to spend their time in creativity and innovation and avoid all the mundane jobs which will be taken care of by technology. The marketing budget for organizations will be spent effectively with higher ROI.